These little boys of mine managed to stay healthy right through the holidays. They waited until day two of school being back in to come down with the nasty bug that made their sister sick all holiday long. Poor boys. It’s likely the same in your house – in ours, there are different levels of sick. Those, of course are the technical terms. One little babe is in category two and still feeling very rotten. But Mr. Sam has nicely progressed to category three. I believe tomorrow he will be in full blown category four. So today, since Sam was starting to want to do activities, we spent the day crafting. I do love crafting. 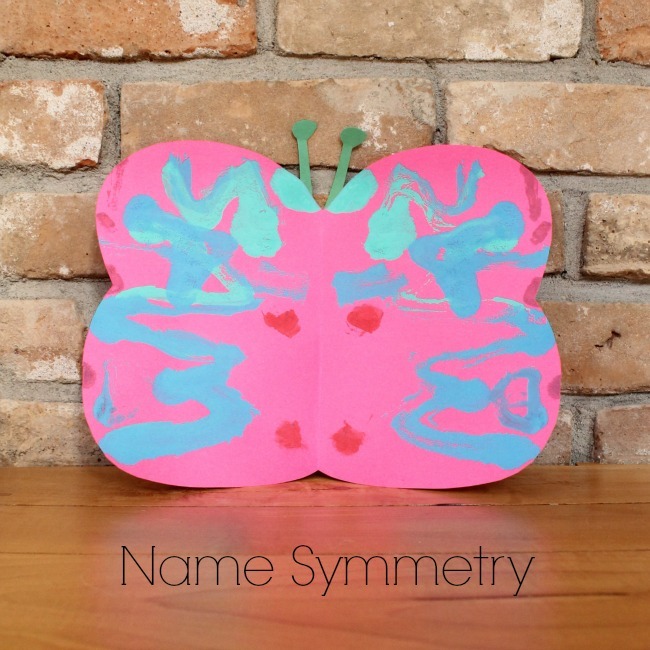 I had found a very neat idea through Pinterest and traced the activity back to Getting Messy With Ms. Jessy – name symmetry. As soon as I saw that idea I knew it would make a beautiful craft. And it did! 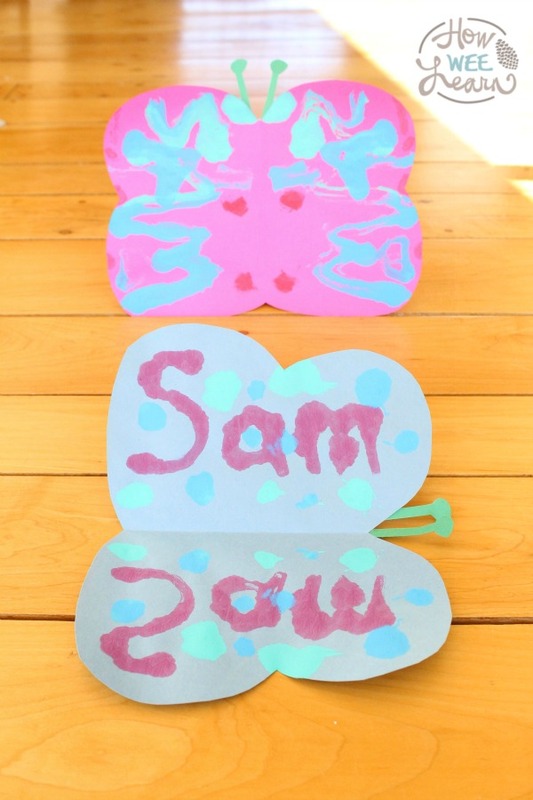 We made these lovely name symmetry butterflies and they turned out fabulous. They were a great learning-filled activity too. We started by folding a piece of paper in half. 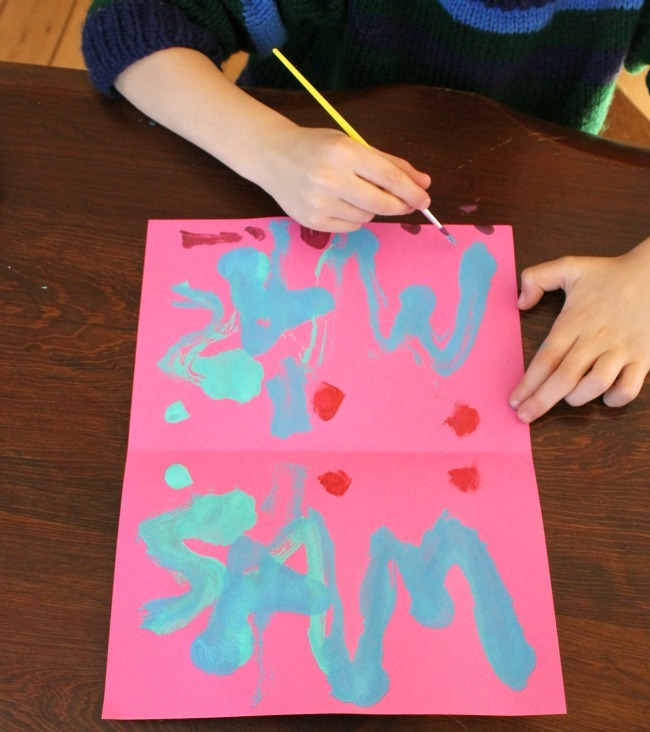 Sam wrote his name in paint on one half of the paper, and then we pressed the other half down on top to make a print. 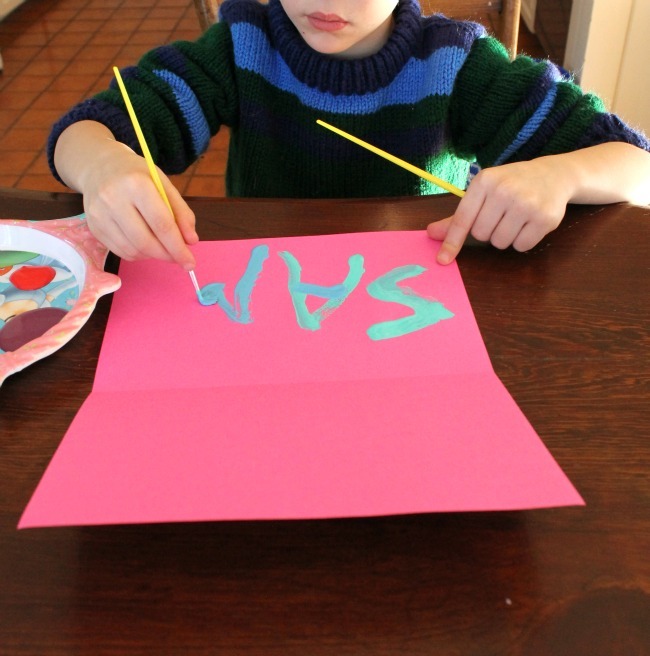 Next, he decorated half of the paper with polka dots and lines, and again we pressed the second half onto the paper to make a symmetrical print. We then cut the paper to look like a butterfly and added some antennae. A butterfly in January? Hmmm … why not. These turned out so colourful and fun, I do believe they were just what the doctor ordered. I hope you and your little ones are managing to stay healthy this winter season friends. Send me healthy thoughts please, this Mama is still going strong! Thank you for reading, please come back soon.